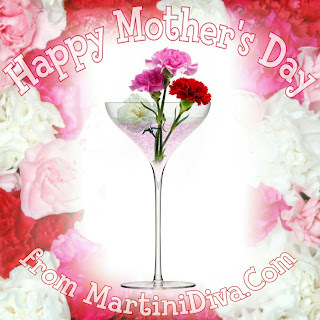 Several years back I created a berry infused Mother's Day Martini. In the years that have passed I have learned a bit more about cocktail preparation and I decided it was time to update the recipe a bit. Normally I use fresh berries, but in this recipe I employed frozen berries to make use of the juice when they defrost. To get the berry juice you simply defrost the berries. In the bag will be all this lovely berry juice you can use in your cocktail. Set aside enough frozen berries for garnish. Yes, you can buy mixed berry juice, but garnish with frozen berries because they will help keep your cocktail chilled as you drink! 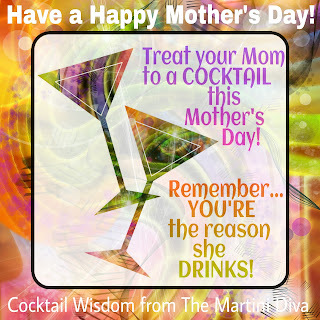 Why make Mom a special drink on Mother's Day? Because you're probably the reason she needs the drink. DIRECTIONS: Chill your glass in the freezer. Add the berry vodka, orange juice, berry juice and orange bitters to a cocktail shaker filled with ice and shake until chilled. Strain into the chilled glass then gently top off with the Iron Horse Champagne. Drop in the frozen berries and serve to Mom.